With our immense domain expertise, we are manufacturing and supplying superb quality range of Tin Containers which are used as automotive paint containers. 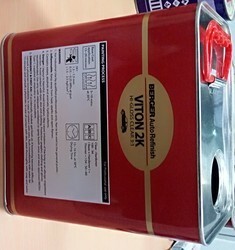 These containers are available in all the sizes from 50 ml to 5 Ltr capacity. The offered cans are manufactured using high grade tin and latest technology as per the international quality standards. 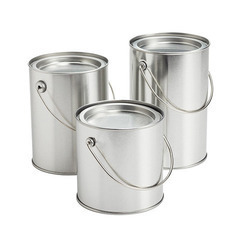 We are highly acknowledged organization engaged in presenting a remarkable range of Paint Tin Container. Owing to the efforts of our dedicated team of professionals, we have been constantly engaged in offering the best quality Printed Paint Metal Container. Conical Pails and Containers Were Introduced In India By Konvertor Packaging Solutions Pvt. Ltd. And Had Also Won The “best Innovation Award In The Year 2006. With the constant support of our dexterous crew of technocrats, we are fulfilling the varied requirements of clients by manufacturing and supplying optimum quality Printed Paint Tin. - Used in paint packaging.